(Photo: © Peter Kenny)Jerusalem religious signs for Christians, Jews and Muslims on Feb. 14, 2016. Tens of thousands of protesters packed Tel Aviv's Rabin Square at the weekend in the largest protest yet against Israel's controversial nation-state law which is opposed in some cases by Jews, Christians, Muslims, and significantly members of the country's Druze community. Led by Israel's Druze minority, the crowd, filling nearly every square foot of the city's central square, repeatedly cheered "Equality!" as speakers railed against the recently passed legislation, CNN reported on Aug. 5. Druze leaders say the nation-state law makes them feel like second-class citizens because it doesn't mention equality or minority rights. The law focuses almost exclusively on enshrining Israel as the Jewish people's nation-State. "The nation-State law in its current form does not recognize all Israeli citizens as equals," said Tel Aviv Mayor Ron Huldai at the protest. "For the love of the nation, I call all of us to cancel or amend the law that leaves the 'other' outside the circle and to remove this ugly stain from the face of our state of Israel." Palestinian citizens of Israel have leveled strong criticism of the law since even before it was passed. But CNN noted that Druze hold a special place in Israeli society. The Druze, a religious group spread throughout Israel, Lebanon and Syria, make up a subset of Israel's Arab population. They are known to be fiercely loyal Israel. Numbering fewer than 150,000, Israeli Druze nonetheless participate in every aspect of Israeli society. They support the State of Israel, are active in parliament and, crucially, serve in the Israeli army. "All our lives we took pride in an enlightened, democratic, and free state of Israel with the freedom and dignity of man as a supreme value. We never questioned the Jewish identity of the state," said Sheikh Muafak Tarif, the spiritual leader of the Druze in Israel. "No one can teach us about sacrifice. No one can preach to us about loyalty. Military cemeteries and hundreds of fallen soldiers will testify to it. "The same way we fight for the existence of the state, we are determined to fight for the right to live in equality and dignity. We are Israelis. We are brothers," Tarif said at the rally. Last week, two Druze officers resigned from their positions in the Israel Defense Force in protest against the law. Male members of the Druze community consistently serve in the military, in keeping with the their group's values of loyalty to the State. 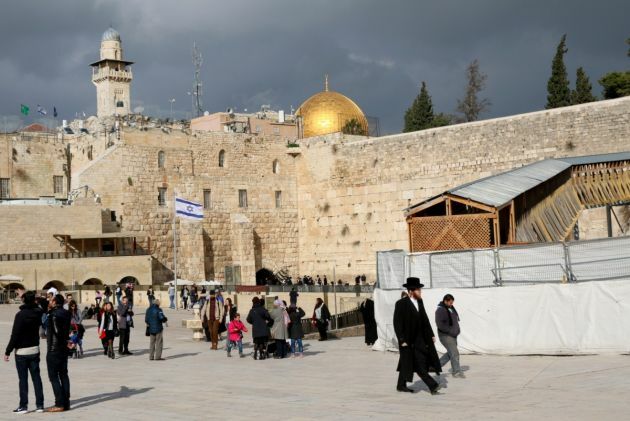 According to the Bedouin petitioners, the law grants additional civil rights to Jewish citizens of Israel on the sole grounds of their ethnic and religious identity, The Jerusalem Post reported. Two Bedouin Israeli citizens filed a petition to the High Court of Justice on Sunday against the recently passed controversial Nation-State Law, following previous petitions by Druze MKs and the Meretz party. The petition was submitted by attorney Mohammed Rahal. One of the petitioners is a lieutenant colonel in reserves in the IDF. The plea seeks to have the Nation-State Law declared null and void, due to its articles contradicting Israel's Basic Law: Human Dignity and Liberty, a pseudo-constitutional law (equal in legal status to the Nation-State Law) that has been in place since 1992. They further claim that the Nation-State Law defies the status quo that has existed in Israel since its establishment, and which is anchored "in its Declaration of Independence and in its spirit." They also demanded a court order be issued that would instruct the Knesset and government to explain why the law should not be repealed, and in the event that it is not repealed, why it should not be amended to ensure equality for all citizens of Israel. The Bedouin petitioners said the new law grants additional civil rights to Jewish citizens of Israel on the sole grounds of their ethnic and religious identity. Archbishop Pierbattista Pizzaballa, the Apostolic Administrator of Jerusalem and Palestine, released a statement on July 31 regarding the Basic Law: "Israel as the Nation State of Jewish People," which Vatican News said is a new and controversial law which defines Israel as a Jewish State. He said the new law is a "cause of great concern (...) the law fails to provide any constitutional guarantees for the rights of the indigenous and other minorities living in the country," and noted that Palestinian citizens are completely excluded from this act. The World Council of Churches noted that the heads of churches in Israel and the Occupied Palestinian Territories reacted with dismay and concern to the Knesset's adoption on July 19 of the new law. They observed that the new Basic Law: Israel as the Nation-State of the Jewish People, which specifies that "The right to exercise national self-determination in the State of Israel is unique to the Jewish people." The Greek Orthodox Patriarch of Jerusalem Theophilos III observed that the new law does not mention the Christians and Muslims who have lived on the land before and ever since the establishment of the State of Israel. He said that the new law "strengthens the institutionalization of racism and dispels hopes of equality/"
Bishop Sani Ibrahim Azar of the Evangelical Lutheran Church in Jordan and the Holy Land called it "fundamentally divisive, racist, and destructive." Azar remarked that the new law "deliberately excludes the 1.5 million citizens of Israel who identify as Arab Israeli" and "ignores the presence of citizens and residents who are members of other religious groups and the significant contributions they make to Israeli society." 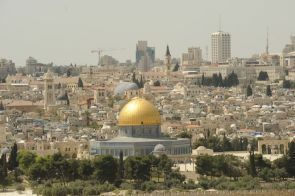 The Latin Patriarchate of Jerusalem; statement stressed that "the law fails to provide any constitutional guarantees for the rights of the indigenous and other minorities living in the country" and "sends an unequivocal signal to the Palestinian citizens of Israel, to the effect that in this country they are not at home." The downgrading of Arabic from an official language to a language with "a special status" strengthens that signal. Rev. 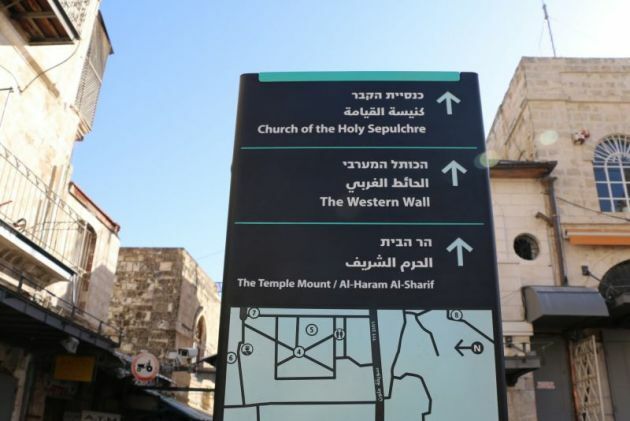 Olav Fykse Tveit, general secretary of the World Council of Churches, stressed "this is about the Holy land and holy places of three religions. Jerusalem must be a shared one. "It cannot be the exclusive possession of one faith over against the others, or of one people over against the other. Jerusalem is, and must continue to be, a city of three religions and two peoples." "Jerusalem is regarded as a holy city and loved, genuinely and deeply loved, by all three Abrahamic faiths – Jews, Christians and Muslims," Tveit underlined. "That love and profound attachment must be respected and affirmed in any solution that might be envisaged, if it is to be viable." And Jewish leaders in Israel and around the world have also voiced concerns about the implications of the new Basic Law for Israel's democracy. Anti-Defamation League CEO Jonathan Greenblatt is reported to have commented that the new law "raises significant questions about the government's long-term commitment to [Israel's] pluralistic identity and democratic nature." (Photo: © Peter Kenny / Ecumenical News)Two key symbols of Judaism, the Western Wall, and for Islam, the Al-Aqsa Mosque, stand side by side in Jerusalem as seen on Feb. 11, 2016.